A-1 service is the turnkey solution for your contractor, repair and building needs. We are insured and bonded. All jobs are fully guaranteed and warranted. 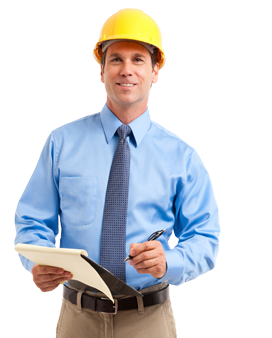 Our staff has demonstrated the experience necessary to successfully complete construction/ maintenance projects. Serving the Austin and Central Texas area since 1977. Service area includes Lakeway, Round Rock, Pflugerville, Cedar Park, Leander, West Lake Hills, Rollingwood, Dripping Springs, San Marcos, Oak Hill. To provide our residential and commercial customers with a highly professional building, construction and maintenance service that will strive to achieve a safe, proper, economical, and aesthetically pleasing remedy to their facility needs. “We pride ourselves on the long-term relationships we have developed with our clients”. A1 services will visit your Community ,Home , or Buildings, to help you assess the project and provide a prompt estimate for the work. We will help you with options of procedure and materials to be used. A1 Services can help you design your project and work with you, your Engineer, your Architect, or Designer to design the best solution to your maintenance, building, or new Construction needs. A1 Services is known for a prompt response to your inquiries. We will send out an estimator or technician and provide a detailed estimate for your review. A1 Services performs Residential and Commercial construction Services to Homeowners, Management Companies, HOA’s, and property Owners. We can help you design and build your project that meets your needs and budget. We have many references and can show you our excellent finished work in the field. A1 Services Warranties its work whether it is a small repair or a large project. We feel we have the best warranties in the business. We stand behind our work! A1 Services will work with the City or County to obtain applicable permits. Our experience in this area will help your project move smoothly. We will make presentations to show what products and procedure we will use to ensure compliance and minimum interruption of daily community activities. Your remodeling and building specialists. Satisfaction guaranteed for your construction and maintenance needs. We cover the entire Central Texas area. A-1 Services maintains numerous properties in Central Texas. We range from Buda, Georgetown to Bastrop, Dripping Springs. time now From single family homes (rental lease) to large subdivisions. We offer the services that make the property look great and keep it looking great. Our technicians take an interest and join your maintenance team.